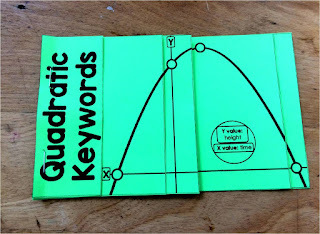 For the last few years, we've been using this quadratic keywords poster during our quadratic word problems unit and it has been so helpful. 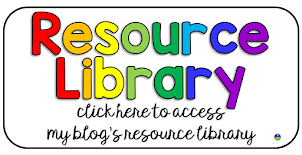 The reference highlights the vocabulary students see in word problems that ask for time to maximum height, the maximum height or the total time in the air. 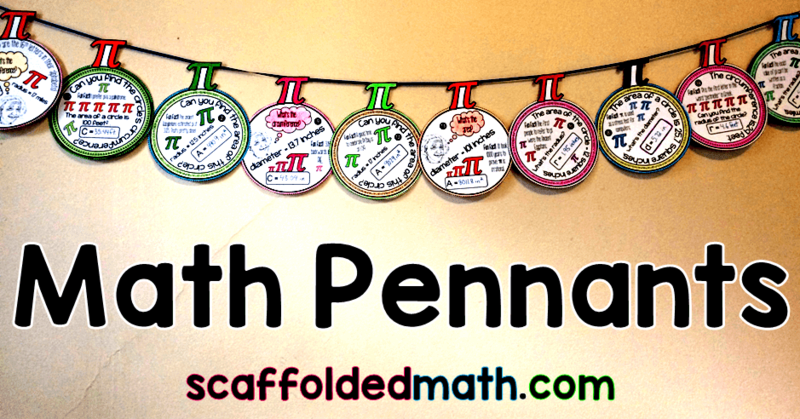 I made a flipbook version that I thought would be fun for student notebooks. 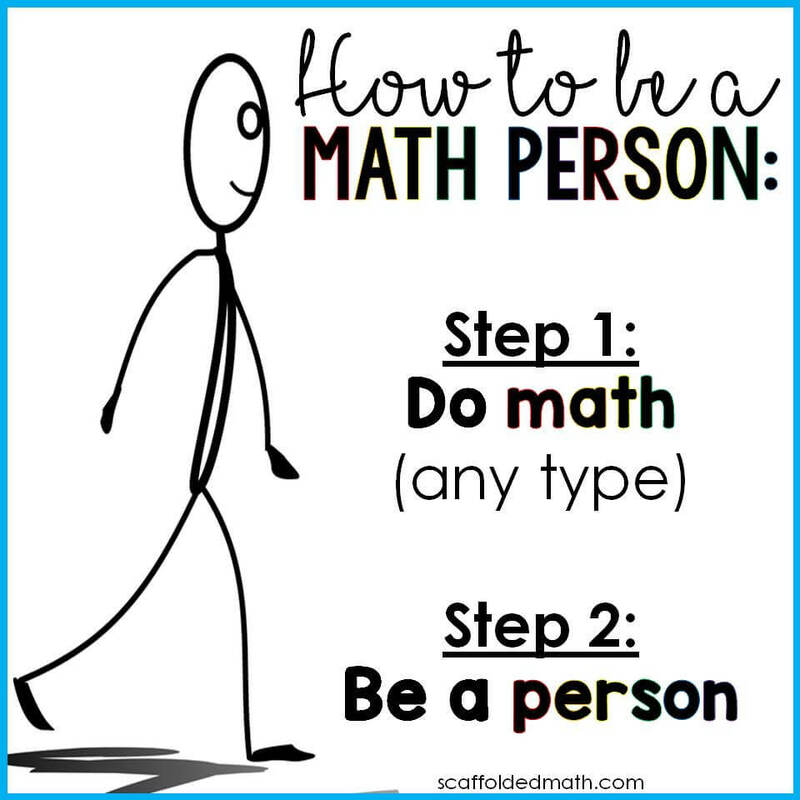 Before introducing word problems, I teach my students how to find maximums and zeros of parabolas on the graphing calculator. 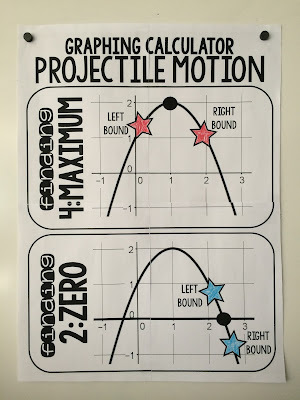 This projectile motion poster helps so much with tricky "left bound" and "right bound" and hangs as a permanent part of our math word wall. 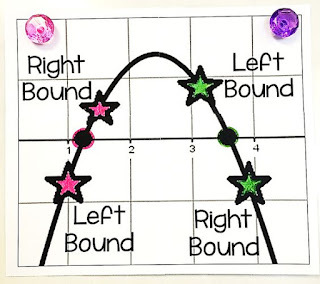 This left bound right bound poster is also a helpful reference for students who are getting left bound, right bound mixed up. 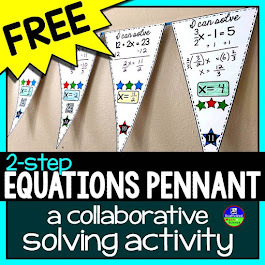 Before ever introducing equations during our word problems unit, we do this quick quadratic keywords sorting activity. 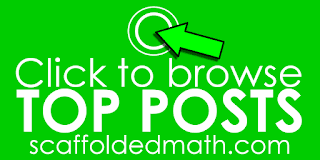 This quick sort gets students looking for the keywords that will signal whether they are being asked to find the positive zero or a value at the maximum. Then it's time to introduce the equations. 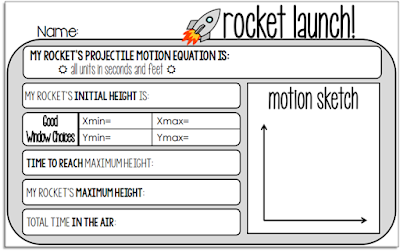 We also use this rocket launch template for warm ups during this unit. 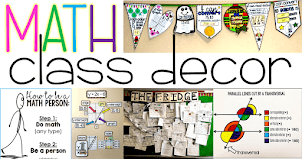 I shine a word problem on the board and each student grabs a template from the warm-up basket. 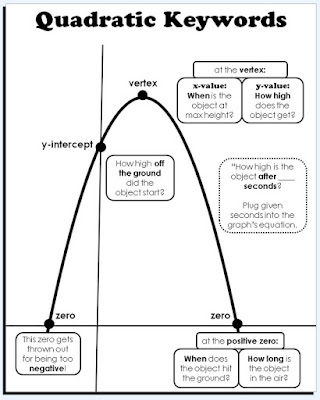 Students then find maximum height, a good graphing calculator window (my students need a lot of practice on this), time to reach maximum height, maximum height and total time in the air. They then sketch their graph. We talk about how everyone's graphs could look different - and how they are all just as right - based on the window. Here is an example of the template all filled out. 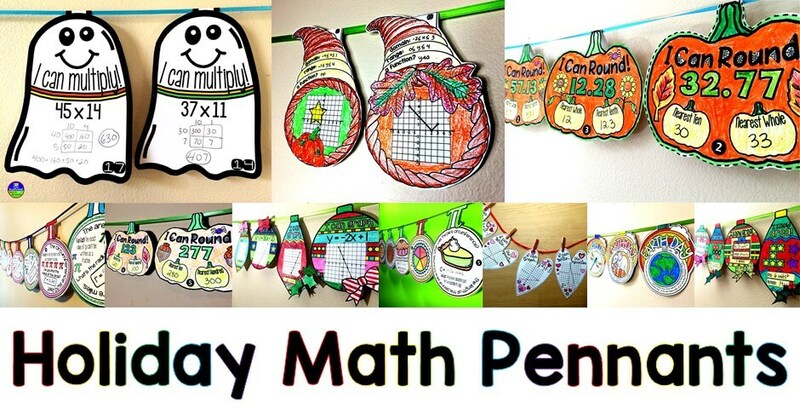 I give 1 point for each correct answer if I feel it's a good day to award some credit (ie: kids are starting to slack off!). This might be a big controversial, but I do not like tests. 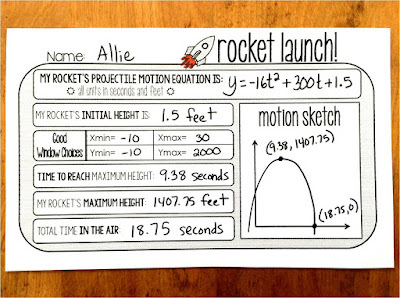 In just a few short weeks, my students go from never having touched a graphing calculator to finding how long an object is in the air, and this is TOTALLY AWESOME. I don't want a bad grade on a test to take away from the confidence my students have built. 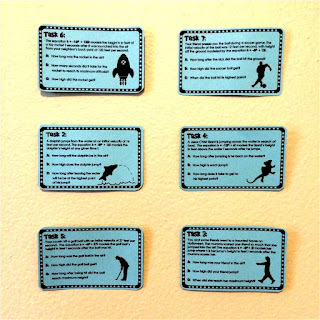 So instead I quiz with task card activities. Students are allowed to work together and ask me questions. They can also use their reference sheets and our word wall references. 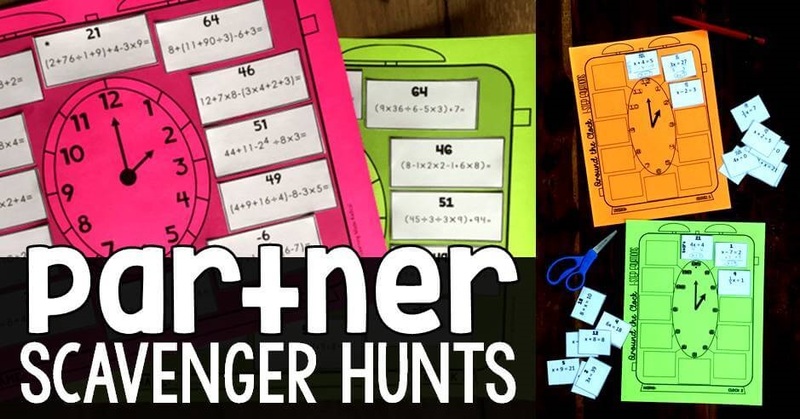 One of my students this year asked if he could take his task cards home to work on! This made me feel good! It's amazing what a little color will do. 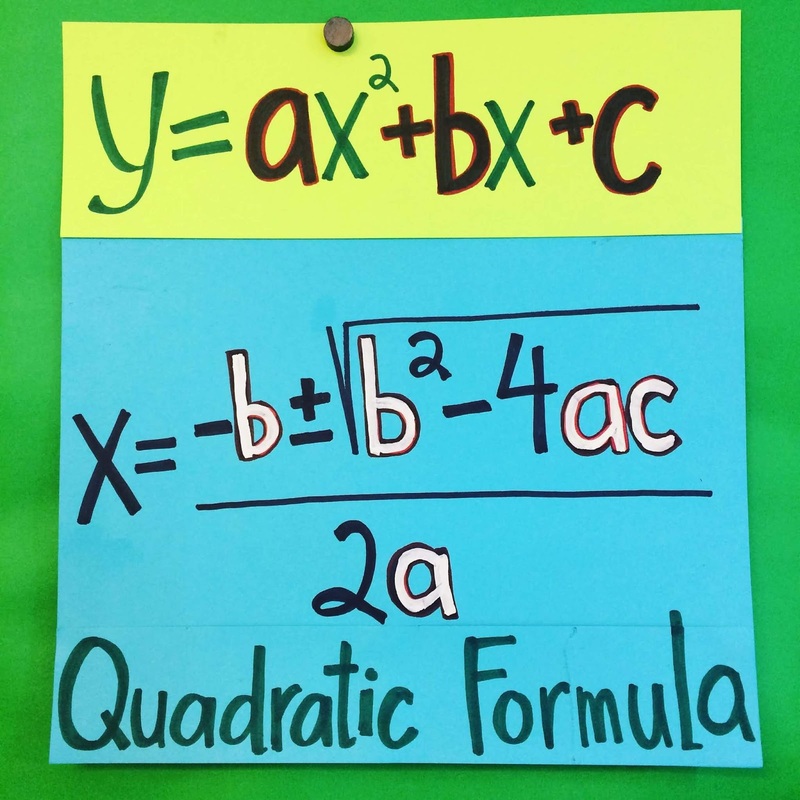 When I first made this Quadratic Formula anchor chart, a, b and c were black like the rest of the formula and my students were not using it as a reference. After adding the white (white-out), the poster became a much more useful tool. 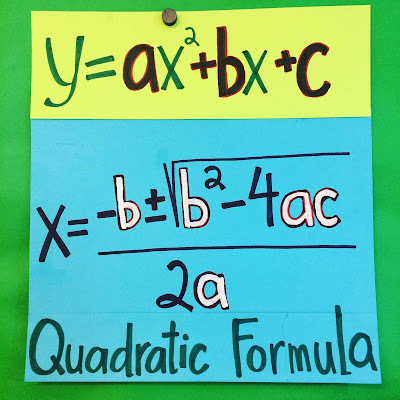 I write more about the activities we do in or entire quadratics unit in the blog post Fun with Quadratics. 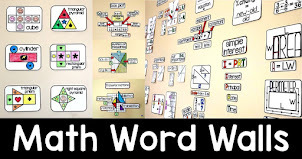 You can find the Quadratic Keywords Poster here.